When I was 11 or 12, I spent my days outside playing with my neighborhood friends, enjoying our adolescence. Today, three young boys will be enjoying their summer vacation not by playing flashlight tag, but rather competing in the Summer X games in Los Angeles. As the Summer X Games begin, we’re sure to see some familiar faces taking over with their skateboards like every year, but keep your eyes on the big air competition where the youngsters are taking over. 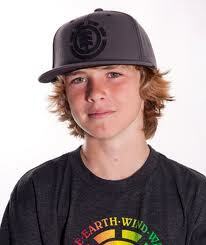 Jagger Eaton (11 years old), Tom Schaar (12 years old) and Trey Wood (11 years old) may seem small but they are forces to be reckoned with. Schaar was the first 12-year-old to have landed a 1080 when he did so in March 2012, a big feat that many big name skateboarders cannot master themselves. While they skate among legends, many of them their idols, the boys only fear is the drop on to the MegaRamp. See what they think in ESPN’s video TricksAre For Kids.